Nikon has announced that it has produced its 70 millionth lens, just six months after its 65 millionth lens was created. Continuing with the pace which was announced last year with the 60 and 65th million lens announcement, the news comes on the day that Nikon announced two new zoom lenses to join its line-up. Nikkor is the brand name used by Nikon for its own lenses, which have been in production since 1933 when the first large-format lens for aerial photography was released. The production figure includes the compact and lightweight lenses produced for the Nikon 1 compact system cameras, announced back in September 2011. Thirty million of those lenses have also been equipped with SWM technology. Silent Wave Motor allows for quick and quiet autofocusing and works by converting traveling waves into rotational energy to focus optics. 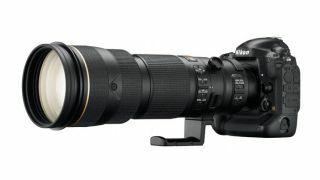 One of the first lenses to include SWM was the AF-S Nikkor 300mm f/2.8D which was released in 1996. It has since been included in a total of 60 different lenses of all types, from wide-angle to super telephoto for both full-frame and APS-C format cameras. More than 90% of the Nikkor lenses currently manufactured included SWM. Nikkor lenses over the years have included a number of world firsts, including the OP Fisheye-Nikkor 10mm f/5.6 lens released in 1956 featuring the world's first aspherical lens elements. There are around 70 lenses in Nikon's current line-up.